Corinne’s devotion to ‘living a life you love and living it powerfully’ radiates through every part of her life, making her passion for helping others achieve the same result all the more breathtaking. In her past work as a director in one of the largest non-profits in the world, Corinne developed extensive knowledge and skills in international project development and coordination, and specialized in small and large scale project development with leadership as a core component. Corinne’s passion is helping others achieve powerful results professionally and personally. She helps individuals and organizations develop intentional leaders and high performing teams using the same strategies she used to create teams and leaders in high-pressure international hot-zones. 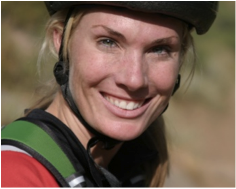 Most recently, Corinne directed leadership and entrepreneurship programs for Aspen Academy; a Colorado based national model independent school. Corinne has directed large scale development programs for Project C.U.R.E., directed a leadership and entrepreneurship program at a Colorado school, and was a BoldLeader program manager for two programs to Kenya.